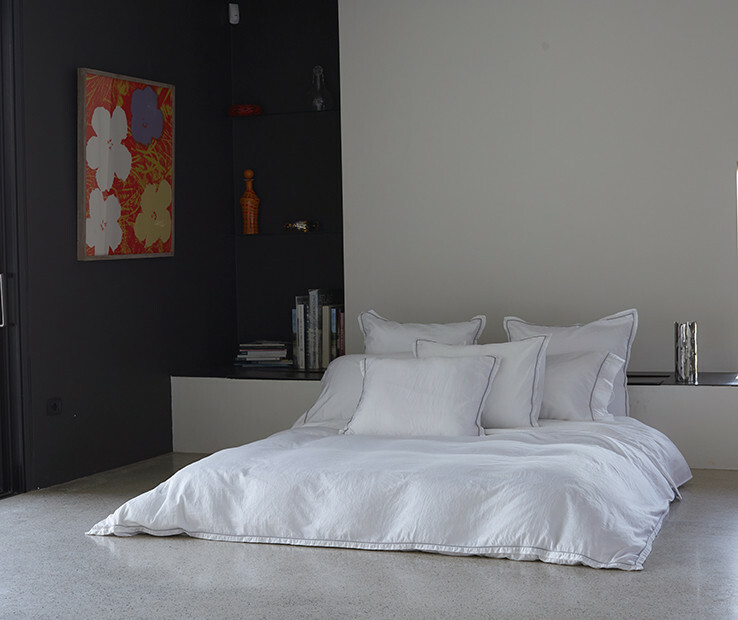 The Emma pillowcases are part of the Signoria Vintage collection, which aims to offer its enthusiasts a touch of Italian taste with a reference to the past. The line, in the finest sateen quality, is garment dyed and finished with advanced techniques resulting in a particular softness to the fabric. The elegant 300 t.c. sateen is further refined and enriched by adding a border with sateen piping on the lateral side. The border matches the background sateen color whereas the sateen piping is available in several color options to coordinate your décor or coordinate with our top of the bed patterns. The modern look of this line was designed for someone who is looking for new trends in décor without compromising on luxury and craftsmanship, emblematic of the made in Tuscany trademark. It has an easy-maintenance attitude: it can be used straight from dryer or only touched up with an iron if desired for a less casual look. 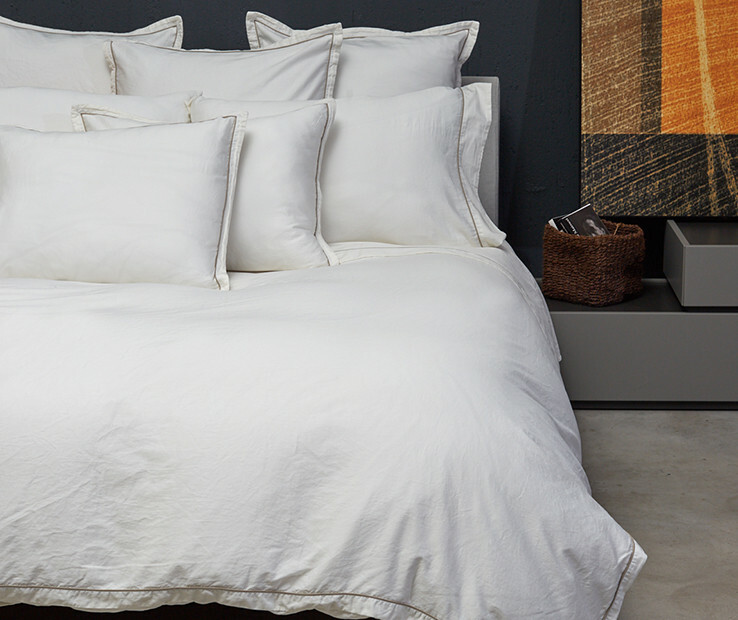 The Emma duvet cover is part of the Signoria Vintage collection, which aims to offer its enthusiasts a touch of Italian taste with a reference to the past. The line, in the finest sateen quality, is garment dyed and finished with advanced techniques resulting in a particular softness to the fabric. The elegant 300 t.c. 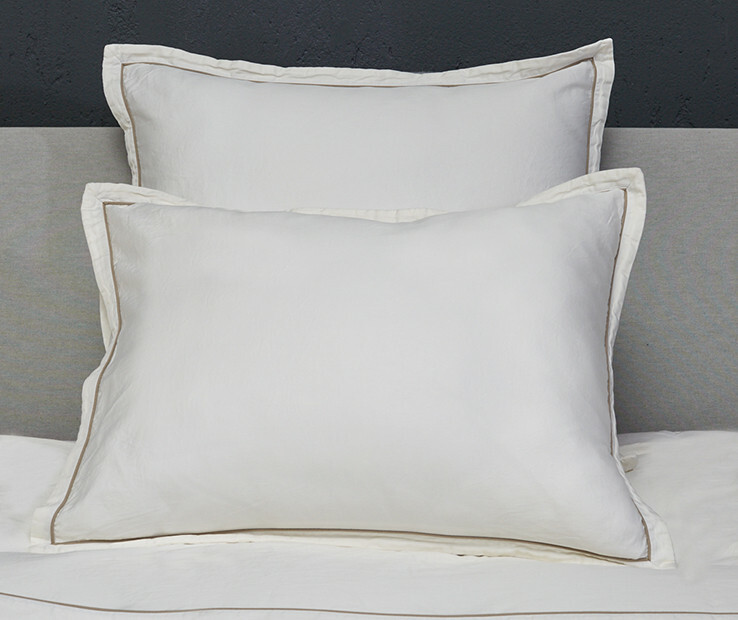 sateen is further refined and enriched by adding a border with sateen piping. 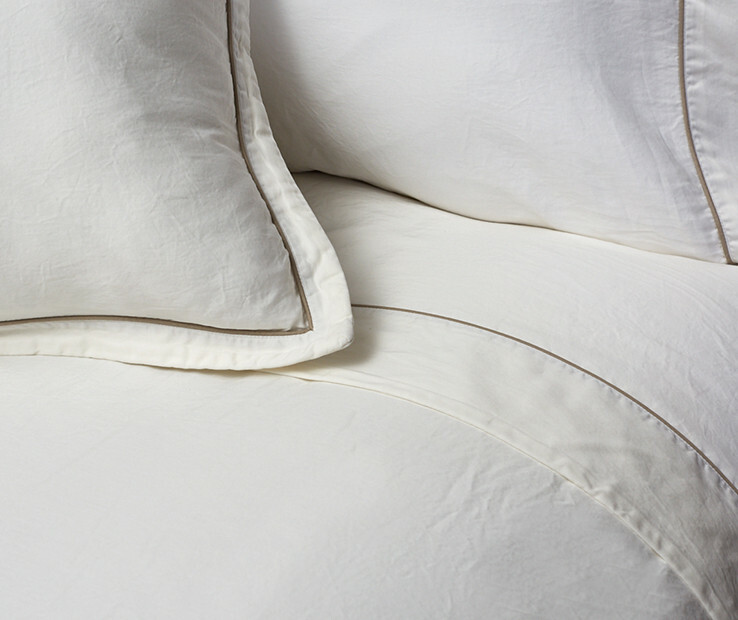 The border matches the sateen background color while the piping is available in several color options to match your décor or coordinate with our top of the bed patterns. The wide color palette allows for infinite combinations. Made with 100% Egyptian combed cotton 300 t.c. sateen. The Emma top flat sheet is part of the Signoria Vintage collection, which aims to offer its enthusiasts a touch of Italian taste with a reference to the past. The line, in the finest sateen quality, is garment dyed and finished with advanced techniques resulting in a particular softness to the fabric. The elegant 300 t.c. 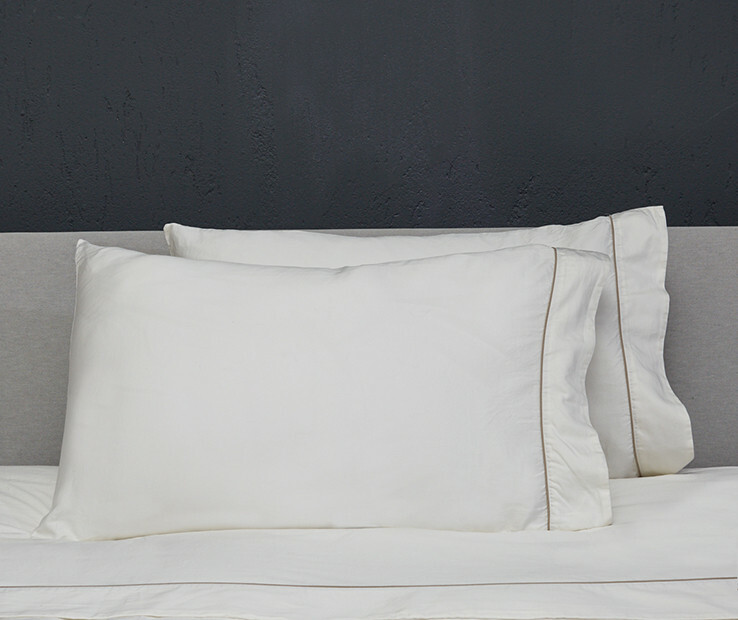 sateen is further refined and enriched by adding a border with sateen piping. The border matches the sateen background color whereas the sateen piping is available in several color options to coordinate your décor or coordinate with our top of the bed patterns. The Emma shams are part of the Signoria Vintage collection, which aims to offer its enthusiasts a touch of Italian taste with a reference to the past. The line, in the finest sateen quality, is garment dyed and finished with advanced techniques resulting in a particular softness to the fabric. The elegant 300 t.c. satee is further refined and enriched by adding a border with sateen piping. 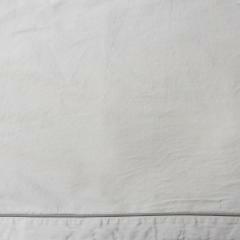 The border is applied on the 1 inch flanges and matches the background sateen color while the sateen piping is available in several color options to coordinate your décor or coordinate with our top of the bed patterns. Available in Standards, Euro and King sizes.